Keeping babies safe and comfy while they sleep is one of the most important things to us as parents. Trust us, we’ve been there - more than once. But with so many products from swaddles, sleeping snugs and sleeping bags to choose from, which one is right for you and your baby’s stage? We’re here to give you some clear, honest advice so you can make the best decision. Don’t snooze, get reading now. Swaddling is said to help newborns feel secure, because it recreates the feeling of being inside the womb. Some experts also say it can stop them from being disturbed by their startle reflex, whilst keeping them warm. If you want to go down this route, the Lullaby Trust recommends, that you choose one made from thin material and never to swaddle too tight. aden + anais 4 Pack Classic Swaddle Blanket, £45. These aden + anais 4 Pack Classic Swaddle Blanket are made from light, breathable cotton and are large enough to wrap baby in. Not sure how to do it? 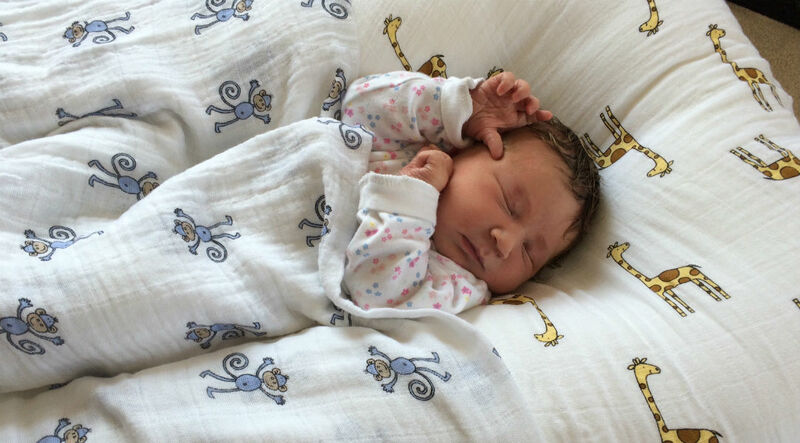 Watch aden + anais’s video on how to swaddle. You’ll soon be swaddling like a pro. The Ergopouch Ergococoon 2.5 Tog (£45). 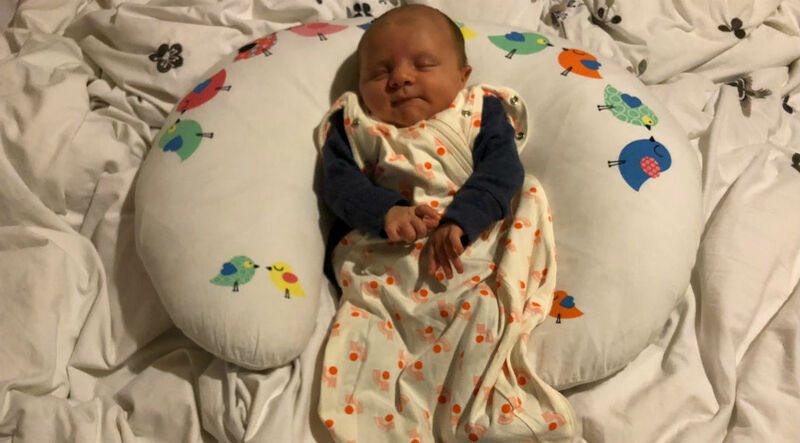 Step forth the Ergococoon, a super clever sleep suit that can be a swaddle one moment and sleeping bag style the next - the perfect buy for babies who seem to master rolling in the blink of an eye. The two-way zipper means nappy changes during the night are easier far too and we know from experience, that's very, very welcomed. Sleeping bags are great because they can't kick them off. This means that they’re less likely to wake up because they’re cold. Although you can buy baby sleeping bags for newborns, most parents start using them from around a few weeks to 3 months old. And here’s the safety bit. The Lullaby Trust recommends picking one that’s the right size around their neck so they won’t slip down inside the bag. Make sure they don’t overheat so avoid using a sleeping bag with a quilt or duvet and choose a sleeping bag that’s suitable for the season. For example, a low tog one for summer (0.5 tog or 1 tog) and no more than a 2.5 tog for winter. Mama Designs Babasac Sleeping Bag (£38). 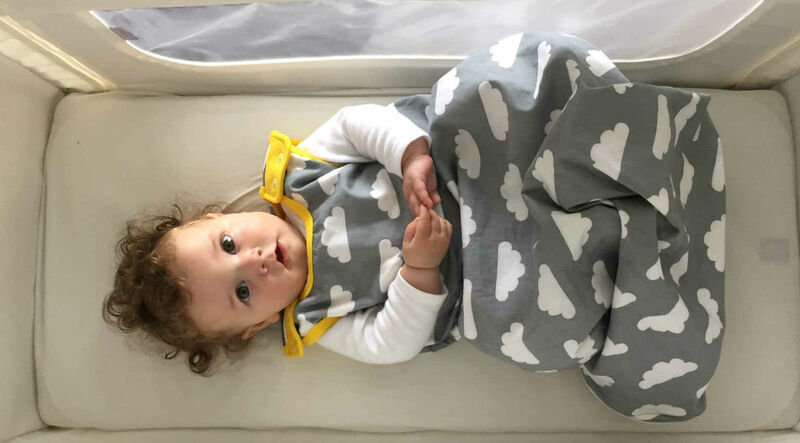 The Mama Designs Babasac Sleeping Bag is a sleeping bag with a difference. It can convert from a summer 1.0 tog sleeping bag to a winter 2.5 sleeping bag by removing or adding the inner layers. It’s no wonder this bag has won awards. #justsaying. Although you can buy baby sleeping bags for newborns, most parents start off with a blanket. 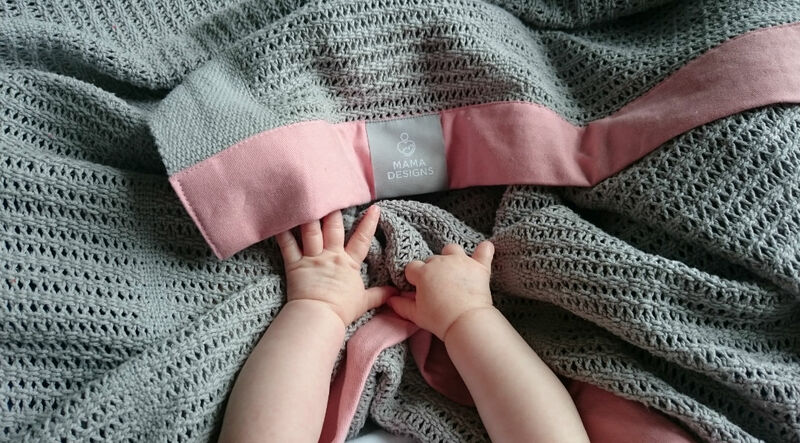 Cellular blankets are one of the most popular here as they allow airflow, meaning they'll keep babies warm in the winter and cool in the summer. This Mama Designs Cellular Blanket is made from 100% cotton and has been given a modern update with bright colours and contrasting trims. Use it in their pram or in their cot. And then just pop it in the wash when it gets grubby, which it inevitably will. Mama Designs Cellular Blanket (£22). So there it is. A guide on baby sleeping bags, swaddles and blankets to hopefully help them sleep at night.